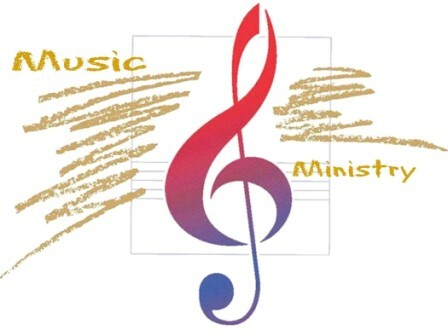 You are warmly invited to participate in our Music Ministry for the praise and glory of God! Music helps our community to pray, celebrate, heal, and to be inspired to go forth and act. The 9:30 choir is committed to leading the people of God to full, conscious and active participation at the sacred liturgies in compliance with the Church’s Constitution on the Sacred Liturgy. In other words, our aim is for all to sing God’s praises by connecting our hearts to our minds and mouths. We practice Thursday evenings from 7:30 p.m. to 9:00 p.m., September to June in the choir loft. No audition is necessary. Please contact Bob Reinhart at (519) 886-3891 for further information. Our group is comprised of an instrumental core of piano, bass guitar, and acoustic guitar, and a group of between five and ten singers. Our goal is to engage the congregation in the joy of worship through music and song. Though we do not use the traditional organ, many of our hymn selections still feature carefully rehearsed four-part harmony. When combined with our diverse instrumentation, the result is a somewhat less traditional, yet inviting sound that encourages reflection, participation, and prayer. Whether you prefer a more or less-traditional approach, getting involved in music ministry at 9:30am or 11:30am is a rewarding, fun and challenging way to serve God and our parish community. We rehearse most Wednesdays at 7:30pm in the church, and we’re always looking for new members. For more information, please contact John B. Miller. The Risen Life Choir brings consolation to the bereaved through music by expressing our faith and hope in the Resurrection of the body, which Christ has won for us. If interested, please contact Bob Reinhart at (519) 886-3891, or come to a choir rehearsal on Thursday evening at 7:30 p.m. The Youth Music Ministry is a group made up of singers and musicians who are between the ages of 9 – 16. We lead music once a month at the Saturday 5:00 p.m. Eucharist in our parish (First Saturday of each month from October to June). Members are given the opportunity to develop their skills as singers and musicians and to use their gifts for music ministry in our church. Presently, we are looking to add new members who will rehearse with us on Friday evenings (second, third and fourth Friday of each month) from 6:30 – 7:30 p.m. in the church. If you are interested, please call the office at 519-743-4101. We welcome all to consider our liturgical and music ministries!